Noted. 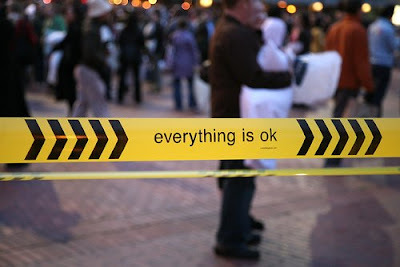 | FineStationery.com: everything is ok. Spotted in the most recent issue of HOW, this public design experiment from everythingisok. Design by MINE, San Francisco. If your corner of the universe needs some calming, you can visit everythingisok.com and request an action kit.